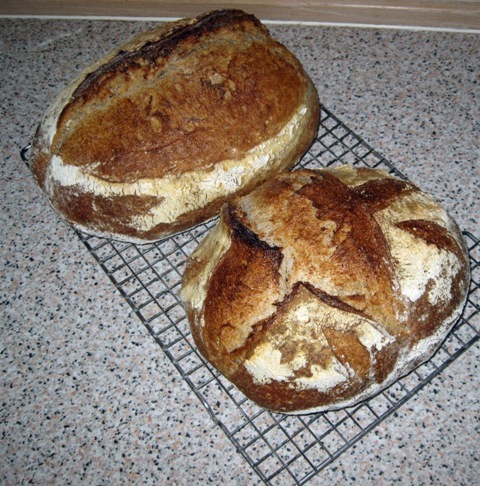 I have just made 2 loaves of 25% wholemeal (12.5% wholemeal rye & 12.5% wholewheat). It is a recipe that I have made a few times now and it goes down very well with everyone, especially those that I gift it to. Majority ingredient is Shipton Mill #4 and I use both my rye sour at 150% hydration and wholewheat 100% hydration levain to give a good flavour profile and not too sour taste that even children seem to like. The larger loaf is a present for one of our neighbours.